We work with a wide variety of businesses that all have their hand somewhere in email marketing. Whether it be an online retailer, an insurance company, or even a blogger but what all these types of clients have in common they want to be able to reach their users. Email marketing can be sensitive, there are so many factors involved to get your campaigns to deliver to the inbox of your recipients. We recommend that you use a confirmed opt-in method for best deliverability. What is confirmed opt-in (COI)? 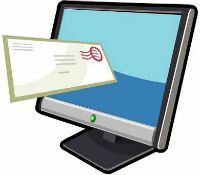 This is a method that requires your recipients to verify they did indeed sign up to receive communication from your company. Generally, the way this works is that your subscriber will get an initial email that they must respond to before they are successfully added to your mailing lists. This confirms that your email addresses that have been added to your lists are legitimate and that you have the email address owner’s permission to send them email correspondence. In some cases you may be familiar with this practice also called the double opt-in method (DOI), however, there is also a negative definition of the term double opt-in so be careful how you use it. r recipients to verify they did indeed sign up to receive communication from your company. Generally, the way this works is that your subscriber will get an initial email that they must respond to before they are successfully added to your mailing lists. This confirms that your email addresses that have been added to your lists are legitimate and that you have the email address owner’s permission to send them email correspondence. In some cases you may be familiar with this practice also called the double opt-in method (DOI), however, there is also a negative definition of the term double opt-in so be careful how you use it. The benefit of using this confirmed opt-in method means these are recipients who are highly interested in hearing from your company. This means the users will be more engaged, they have a higher frequency of opening and reading the message you are sending. They are also more likely to click links inside of your email which will drive up your revenues and improve your senders score. The more user interaction you are getting the more likely you will consistently deliver to the inbox. Our email verification at XVerify works hand in hand with your confirmed opt in method. Because we are able to check it in real time at the server level this will help you make sure you are sending to active email accounts and eliminate the number of hard bounces your initial welcome mail sends. The more you reduce your bounce rate the better your sender score will be. By combining both best practices of using data verification coupled with confirmed opt in with improve the overall impact of your email campaign delivery.